Prenzlauer Berg's restaurant scene has never been more vibrant than today. It’s part of the appeal of this much-loved district Prenzlauer Berg. I personally have seen a lot of restaurants come and go in Prenzlauer Berg, but the best places always remain. 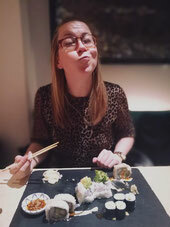 That is why I have compiled a list of my Top 5 restaurants in Prenzlauer Berg that come with concepts and delicious menus. Guten Appetit! If you want to find more hidden gems of the German capital, pick a BertaBerlin map for Prenzlauer Berg in my shop. 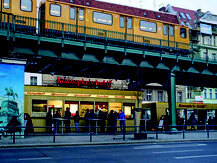 This small and colorful Indian restaurant is the best place for Indian street food in Berlin! Dosas, chutneys and incredibly delicious curries are waiting for you. Curry up and try it out! Owned by an Israeli and a Palestinian, Kanaan stands for peace, love and what might be the best hummus in town. Warm up your heart and belly in this beautiful place and see why sharing good food overcomes any borders. This family-owned currywurst bistro serves up the classics like bockwurst, knackwurst and the Berlin Bulette, a special type of burger. They’ve been a neighborhood staple for over 80 years, going back to Max Konnopke who started the bistro selling sausages in Berlin in 1930. In-house homemade halloumi and pulled pork-sandwiches combined with hand cut fries are waiting for you at the restaurant Muse. Besides their delicious lunch menu, they host Supperclub menus in the evening and other events regularly. This Japanese restaurant serves not only fantastic sushi. The Omakase plate is highly recommend. Appetizers like the Tsukemono (pickled vegetables), the Takana (fried vegetables) and the Kukiwakame (seaweed salad) are also very tasty. Coda Berlin is my dream come true: a dessert bar in Neukölln Berlin. If you like desserts, this is the place to be! I normally eat dinner to get an dessert afterwards, at this "restaurant" I don’t have to wait ;). 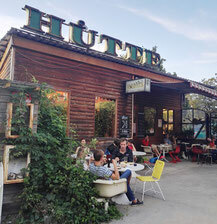 It's not a restaurant, but a unique bar with delicious desserts, so I have to recommend a visit (additionally to my Top 5 restaurants in Neukölln), after dinner or instead!